You can donate to The Gathering Place simply by shopping or browsing online. Make sure to select The Gathering Place as your designated charity, and we'll receive donations every time you shop or browse! AmazonSmile is a simple and automatic way for you to support your favorite charitable organization every time you shop, at no cost to you. When you shop at smile.amazon.com, you’ll find the exact same low prices, vast selection and convenient shopping experience as Amazon.com, with the added bonus that Amazon will donate 0.5% of the purchase price to The Gathering Place. Simply login to smile.amazon.com with your Amazon account and password and select The Gathering Place: A Refuge for Rebuilding Lives as your charitable beneficiary. You must login through smile.amazon.com for your purchase credits to support us. GoodSearch.com is an Internet search engine powered by Yahoo! that donates a percentage of its sponsored search revenue to the charities designated by its users. To participate, go to www.goodsearch.com, enter The Gathering Place in the charity box, choose the Denver nonprofit, click verify, and start searching. Every search you make from this site earns approximately $0.01. When you purchase products through Yogi Life, you're supporting the mission and work of The Gathering Place. Yogi Life was created to nurture and inspire the mind, the body and the spirit. We believe that a strong yoga practice supported by our line of nourishing supplements and healthy eating habits will invite you to vibrate on a higher frequency; in turn you will perform at your very best (on and off the mat) and you will feel OMazing while doing it. They have kindly agreed to donate a portion of their profits to The Gathering Place. 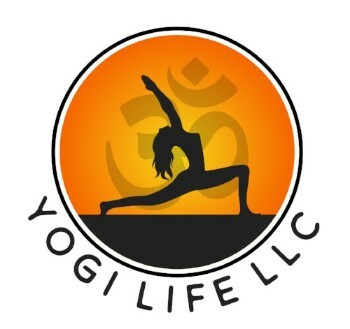 You can support this wonderful small business and help your community by going to yogilifenutrition.com.